I am not the most socially apt man… I confess that I am actually more introverted than I seem, because I have to actively force myself to talk to people that I do not know. It may not seem like it to some folks who know me, but I actually struggle on the inside to just try to make an introduction. For many who do know me… You know that I have always felt that my home city has been the home where my heart feels I belong. Last year due to family reasons, I had to move to a city nearly an hour away. From that, it brought a lot of changes like having to learn a new city and become more familiar with it. Unlike original my home city, my heart doesn’t feel an affinity with my new city… While I have memorized most of the roads and shop locations where I go to buy supplies, I don’t feel like I am home. The new city even after one year of residence feels “alien” for lack of a better word. Adding to that… I made a transition to working more from home, because doing a 1 hour commute (during non-rush hour times) one-way to work can be brutal and in worse cases… being stuck in rush hour can mean a 3+ hour commute home. As a result, I don’t get much social interactions in-person with my co-workers at my base office. Additionally, my beloved has needed me to become a caretaker for her which also has me staying at home more often because she has been going through her own struggles. Adult life can epitomize the Buddhist “life of strife and suffering” mantra to a sense, because adult responsibilities end up being mentally taxing. Not all suffering is physical and sometimes adults write off mental suffering because it doesn’t cause visible harm sometimes. As children, we don’t have to worry about the electricity bill being $350, the credit card for pet medications being a bit high, or being consumed with uncertainty in the future that it causes insomnia. As children, we take our nativity to the world for granted and it is much like the story of the young prince (before he became the Buddha) being in the walled palace who is ignorant to the suffering of the world outside of the palace. It’s something that has come to my attention when I take time for meditations. As a result of my move, I am now up to 1.5 hours away from some friends which can make for a brutal drive in busy weekender traffic on the roads. I generally don’t have the luxury of staying over at the homes of friends as most of my friends either live in small apartments, can’t take overnight guests, or have constraints that don’t make an overnight stay ideal. I haven’t seen some friends ranging from a few months to nearly 2 years. Some of my good friends may not have the time or luxury to see me with respect to a commute that could be 1+ hour long which I understand as well. I have one good friend who has definitely made a serious effort to come out, but he is blessed with a wife who’s generally lenient and provides him a lot of freedom to pursue his social interactions. Being “deprived” of seeing my friends in person has also made moments like being able to see them in person being so much more meaningful… but that’s not without its dark side. Being socially isolated by my home situation in addition with my adult responsibilities has come with some downsides. I have had moments where I go weeks without in-person social interactions and end up in a state that I feel almost socially starved for interaction. In those moments, I feel like I have had a thirst for water that has gone on for too long. It makes me savor the moments I get to spend with my friends who come to visit me, but when they have to go home… I get a bit sad like a feral cat who may not know when they may find their next meal. Equally, if I am able to make a day of seeing a friend at their home, it feels like making a grand pilgrimage to satiate my appetite for social interactions after fasting for many days. In the same right… It has also shown me who my true friends are. Those who truly care about me and my beloved versus who just see our friendship as a convenience. Not only for just local friends… but also with friends online. Social asceticism has also given me more time to think about my own personal values and re-evaluate some friends who in recent years I have began to question my friendships with. Some folks I have just cut out of my life completely due to just simply seeing that their values no longer respect my own values to the point that civility or peaceable political discourse is simply not possible (“You’re an idiot to think that way and if you refuse to change… you’re nothing short of human trash!”). The depressing thing is that some of these people were people I used to respect or hold in high esteem… It’s been a bit of a social wake-up call to me for a sense. It’s been interesting just seeing the fractures in the facade because that has lead into another event that has come to be most recently: Social media has become poison and I want nothing to do with it. As a younger man, I thought social media was a great blessing as a communications tool. Being able to share information with “friends” or pitch questions to a crowd if you couldn’t trust the wild west that was (and in some cases still is) the Internet as a whole. Since the last US election, that has opened my eyes to the fact that social media has become a poisoned well mated to an echo chamber. Social media has made it easier to spread lies as fact and if those comforting lies coincidentally fall in line with a social groups beliefs and values… No one on social media seems to question it. It’s almost like a regression to the day of the early internet where email forwards had questionable things like “Satan is coming and this email with the love of Christ can save the world… Forward this to 12 of your friends and God will protect you from the End of Times” but yet were debunked easily because those emails would make ridiculous claims such as “There’s no attachment on this email because God’s love can track who has or hasn’t completed his wish of having this email sent to 12 friends”. News media companies who have only recently embraced the internet since the last US election have seem to lost their moral fiber and ethics of reporting the facts to instead resorting to yellow journalism, tabloid reporting, and sensationalizing events to an editorial bent in hopes of advertiser dollars. This is a frightening trend, because a lot of older folks rely on the news via TV and radio for their view of the world… but at the same right, a lot of folks in the 20’s and 30’s have come to rely on the news being posted to social media to shape and form their views. The result of sensationalized news being reported with yellow, tabloid-style reporting is that news organizations can spread misinformation (whether deliberately or not, depends on their political leanings) and rely on viral style distribution. In some cases, misinformation may be quietly corrected… but by the time a correction has been issued, the news company makes a quiet push with no fanfare. This potentially means some people may not realize their world view may potentially be compromised by erroneous information or worse yet… because the information may call their values and beliefs into question, they suppress the correction because their social circle on social media may burn them at the stake for going against their status quo. I personally have learned this first hand… Some folks would get mad at me trying to correct information by accusing me of over-explaining a topic even if it may be a subject I have expertise in all because maybe the information politely asks “Are you considering every angle of the argument and trying to be humane to your friend who is trying to provide an equal view to a topic to open up your preconceived opinion?” I have found that sometimes challenging a person’s world view may end up with them resorting to name calling or ad hominem attacks on my character when I have not done the same to them. It’s been quite hard keeping a cool head in those situations, but at the same time… I feel like I am wearing my patience thin which saddens me a great deal. As the days pass and the number of “friends” I know grows fewer… I feel the specter of loneliness creep closer. Some days I have fear that my social asceticism and self-isolation may eventually rob me of any companions in this lifetime. I have found myself diving more and more into gaming and intellectual pursuits that have been more enjoyable than intellectual fighting because I feel like the divisiveness of the world has burned out my soul. It makes me wonder if I can even find a voice for myself because the passing days make me feel like my voice is quickly disappearing. It’s been a while since I have written here… but I think I may get back to writing here more to try to keep off of social media. The year 2017 has been one with a smattering number of great single player experiences and the rise of predatory loot box practices in video games. I have spent less time playing multiplayer competitive games and really been playing more single player games. Though the common theme with this year’s game releases seems to be that Japanese developers know not to be scummy with consumers on DLC because they know that it will burn their good will for return business, yet big western developers have been pushing the bar for what they can get away with on nickle-n-diming players… Well, until you’re EA with Star Wars Battlefront II that the state of Hawaii is thinking of trying to push legislation to label games with loot boxes as gambling. I’d like to share what I feel are my favorite games from this year. Note that these are NOT in any particular order or rank. They are just listed in what comes to mind as they are inspired. This was a bit of a one-two punch because it was also the first game I bought on my Nintendo Switch. The game is one part a throwback to the original Legend of Zelda on NES/Famicom, but also one part Dark Souls lite. Nintendo’s design philosophy had an emphasis of making sure every square inch of the game had things for you to look for in the form of shrines, Korok, seeds, or mini-quests. The combat is pretty solid and makes sure that you will learn why you died. The cell-shaded comic book style does well as it helps the flow of combat and keeping the game running at a consistent frame rate. I found it refreshing in an era where so many major video game releases are hyper-focused on providing the “most realistic” looking graphics. The best part is that the game was so very compelling that it was hard to put down the game. 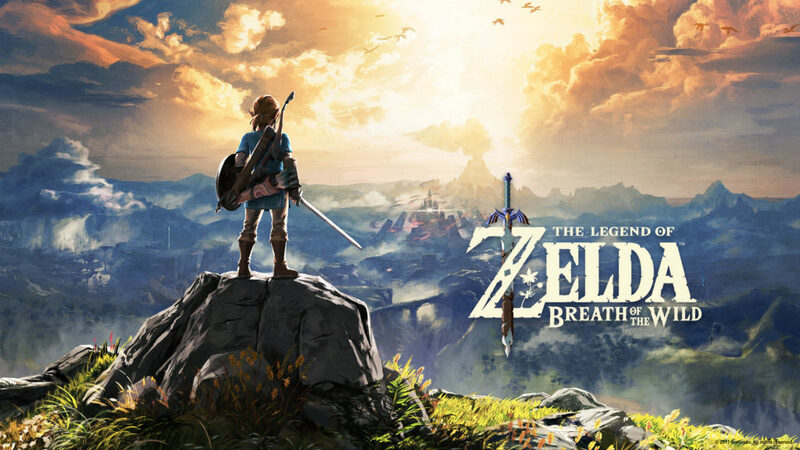 Combined with the Switch console’s nature, I have a few moments where I have played the game from bed because I wasn’t quite done playing for a day. I clocked nearly 115 hours in the game for just the base game. I haven’t even started on the DLC… which I hear is nothing short of fantastic. A game by Guerrilla Games that isn’t an FPS?! That’s a drastic shift for a company that has generally been focused with making the Killzone series of FPS games. 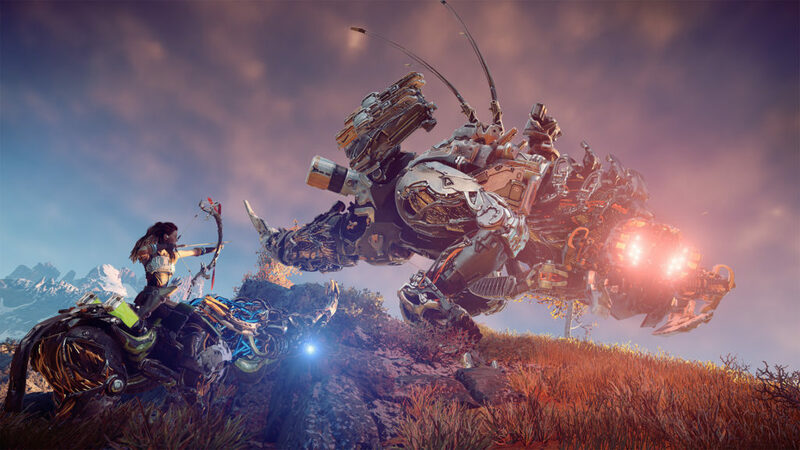 Rather than an FPS, Horizon is a game that is an open exploration sandbox game with… (wait for it) a female protagonist. This was something that was vastly different from the usual games in Guerrilla’s wheel house. If there’s anything to say about it… it’s a wonderful thing seeing them make something that’s not Killzone related and an FPS. “The Frozen Wilds” downloadable content chapter expands on a tribe that is lightly touched upon in the main story and also expands on a significant event. The best part is that the game offers quite a value for $50 USD. Indie games in the the PC space have been a little obsessed with the rogue-like and rogue-lite style game play. 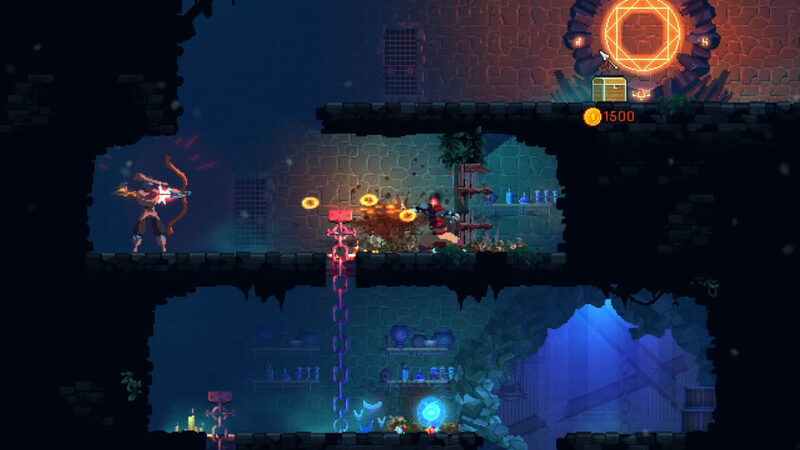 Dead Cells was released in May of 2017 as a game that is a rogue-lite but combines Metroid-vania style game play with the methodical and committed combat style of the Dark Souls games. I normally do not like buying Early Access games because I have seen far too many cases where a developer will abandon a project in favor for profits like what happened to me years ago with a game being abandoned by a developer in favor of developing mobile games. The official retail v1.0 release is in the horizon, but the game plays very solidly like a very polished game. If you like the idea of a challenge, this game offers it by the spades. This one surprised me honestly. I have not player any previous Assassin’s Creed game to completion. The first game didn’t stick with me. I played Assassin’s Creed Unity after it got major fixes, but didn’t play it to completion. 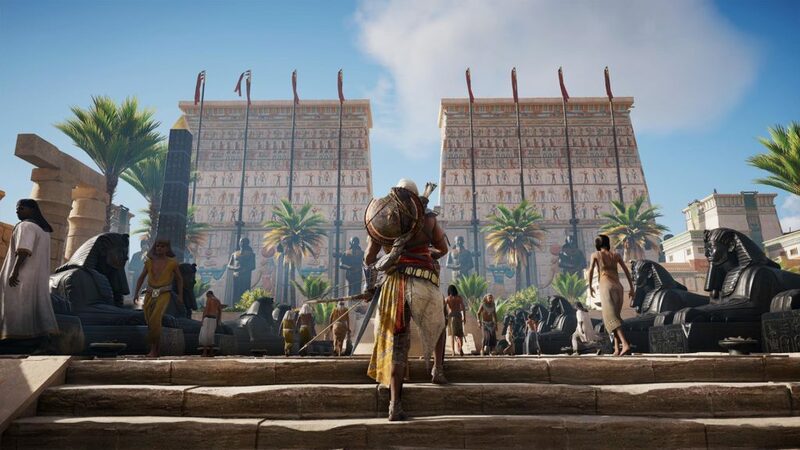 Origins was made under the renewed Ubisoft of giving the Assassin’s Creed development team some time off to try to refocus and solidify their efforts. What resulted is an Assassin’s Creed game is one that feels more like The Witcher 3. It’s odd… It’s one that I have been compelled to just play to completion. The only downside is that the middle point of the game drags like it will go on forever… And well the limited time boss battles, they are a bit tough and most aren’t doable unless you are max level (L40) with some extremely powerful equipment. I would highly encourage anyone who has passed up previous Assassin’s Creed games to consider this one. There is supposed to be a museum like mode to be deployed in Q1 of 2018 which I am definitely looking forward to. I haven’t played a Mario Game to completion since Super Mario 3 on the NES. Nintendo and Yoshiaki Koizumi struck golden magic with this game and it was something else. The game has a very fluid frame rate and the art design of the game just brings delight to both those young and old. 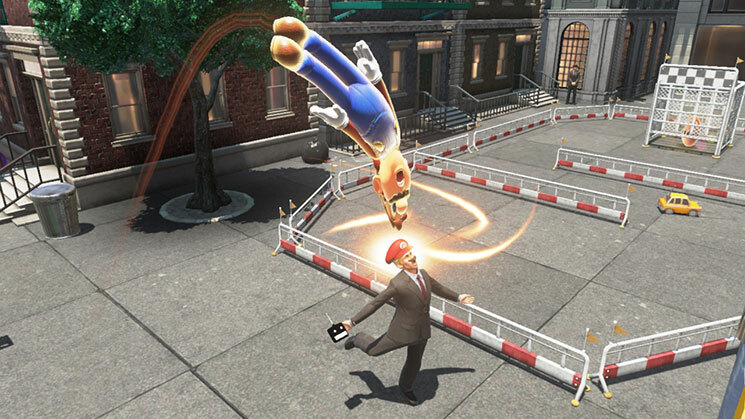 The controls are so very good and the only complaint I have is that some of the of the attack skills like the hat spin are easier to perform with motion controls… it doesn’t feel so great playing on a Pro controller or in handheld mode. While the game isn’t too hard to beat and get the main ending… the harder post-game challenges to get all of the extra moons to unlock the post-game kingdoms are quite challenging and offer even more for those who really want to flaunt their mastery of movement skills to the greatest extent. This is a game all Switch owners MUST have. A wierd as hell story involving themes of transhumanism, questioning what an existence is, and if a soul is real. Combat that is described as “Bayonetta-Lite”. The character designs are something that would be considered fashionable in modern day Harajuku. A game UI that somehow tells pieces of the game story. This is a game that is certainly stylish and unique. I was won over by all the elements that have come together. 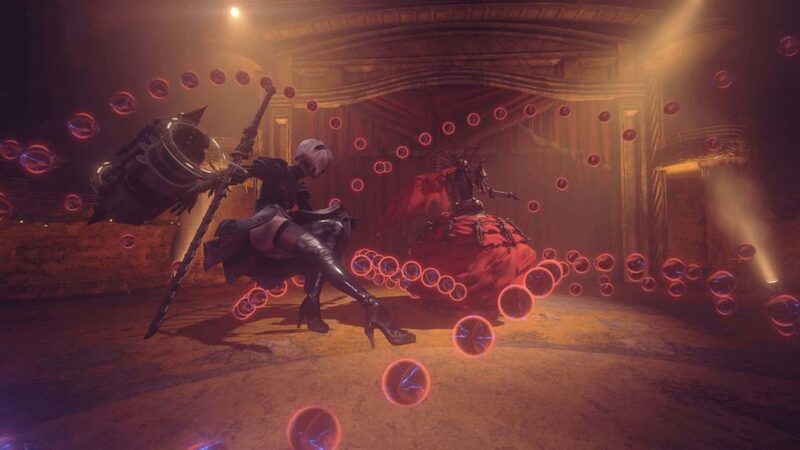 This game is a love-child between Yoko Taro and Platinum Games and it really highlights the best of both teams. If a Yoko Taro game appeals to you, this one is hard to pass up. I will offer one word of warning… Please buy this game on PS4 because the PC one has NOT been patched ever where the PS4 version has had some great quality of life patches that have made the game better. I am a newbie to the Yakuza series… while I have gotten Yakuza 4 from PlayStation Plus on my PS3 and purchased Yakuza 5 on my PS3 to support Sega bringing more niche experiences to the west… But I am ashamed to say I have not finished either game. 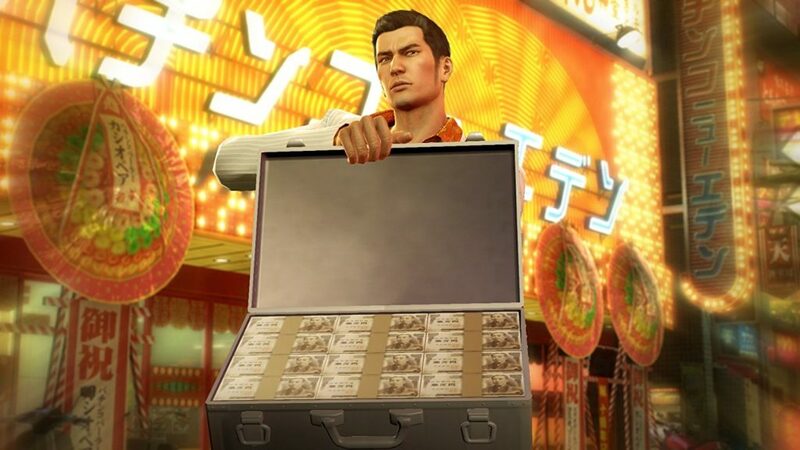 When I saw Yakuza 0 had been released in the US in February… A dear friend (Aki from Dallas) who is a Yakuza mega fan basically said “If you have wanted a reason to jump into the series… I hear it’s a great starting point!” I ended up purchasing it on a whim and jumped into the stories of Kiryu Kazuma and Goro Majima’s start of their yakuza careers. The game is definitely a product of a development methodology from the PS2 era, but not in a way that makes playing the game a chore. The pacing of the story feels like that of a Japanese crime drama TV show… I know at the end of each chapter it always felt like the end of a TV episode. Sometimes, I felt so compelled to stay up late just because the end of a chapter ended up on a cliffhanger. I think I ended up clocking 27 hours on the game and on finding out that I only completed barely 21% of the game was staggering. If you like Asian crime dramas, do yourself a favor and play Yakuza 0 and also play Yakuza Kiwami (the HD remake of the original Yakuza on PS2). It was a damn great journey and I look forward to playing Yakuza 6 when it gets localized in the west around March 2018. I am one of those who had a love-hate relationship with Destiny and in the beginning of the first game… It was an ebb and flow of bad things were progressively improved by leaps from good changes. 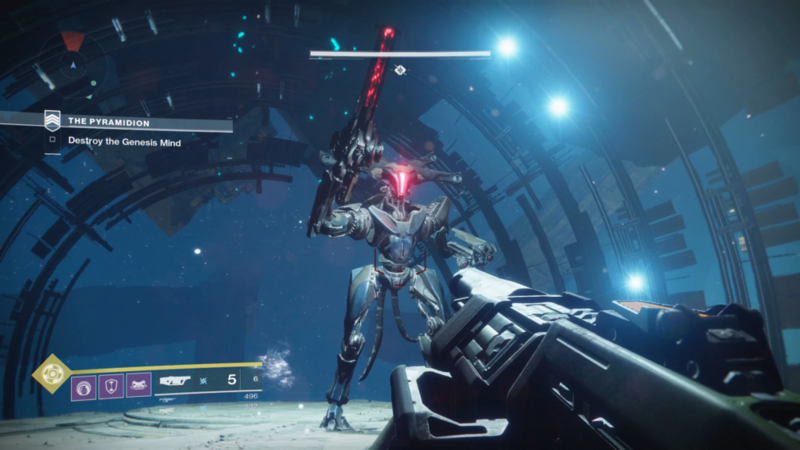 By “The Taken King” expansion of the first game, Destiny had finally become a game I could recommend in good conscious. Somehow, Destiny 2 screwed it up with lack of care to the game, a focus on concealing new items from the Curse of Osiris expansion and The Dawning holiday event in loot boxes, and lack of transparency with the player community with controversies like throttling player experience gains… The sad part if that many veteran Destiny 1 players saw the cracks in the veneer of Destiny 2 and some folks initially called anyone who felt that Destiny 2 was making a mockery of players “fools” because they were making a big deal over nothing… but once folks started running out of things to do in Destiny 2 and the Star Wars Battlefront 2 controversies hit… A spotlight was shined on Destiny 2’s flaws and it was nothing short of a big stack of disrepect and disregard of the player base’s time and complaints. I loved Destiny 2 when I had played from October through the end of November. By the end of me completing Curse of Osiris after 6 hours on launch day… I was just left underwhelmed and I have abandoned playing it on my PS4 (primary profile) and haven’t logged on to my PC profile since beating the main story. It simply floors me that from Destiny 1’s highs, that Bungie has walked things backwards almost 10 steps and also adding in very predatory loot boxes that just insult the players. Destiny 2 should be a shoe-in and an easy way to cash in on players… but with the lackadaisical treatment of the players, Bungie will be lucky to even have anything close to a player base that may have any any interest by the time the next expansion tied to the season pass arrives. It’s not easy for me to say this… but as a person who loved Destiny 1, it breaks my heart to say that I cannot recommend Destiny 2 in any confidence. Being an adult is a wonderful thing, but being an adult with the ability to see your dreams within a finger’s grasp… That is far better than some of the sweetest victories. I have made many friends over the past few years… Some of you have commented that me and my beloved are a perfectly matched couple. The funny thing is I had to overcome my shyness and learn to return to who I really was to find her. From that… I wish to share you a tale of how I met the most splendid person in my lifetime. As a foreword, some details have been a bit embellished for fun and some things changed for entertainment reasons. Also, there is a TL;DR (“Too long; didn’t read“) for the lazy.